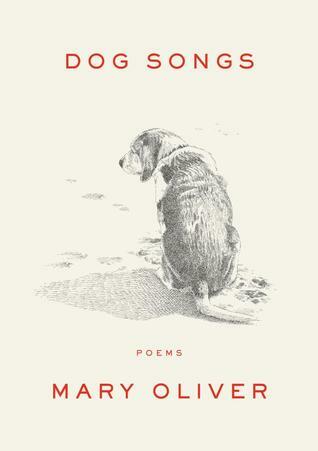 Dog Songs by Mary Oliver is a collection of poems about her dogs and her relationship with those dogs, but it also is about the human condition and what our relationships with these animals means to us and to them. Oliver is known as a dog lover, but she’s also known as a poet that takes the most average moments and things in life and enlarges their scope and their meaning through her poems. 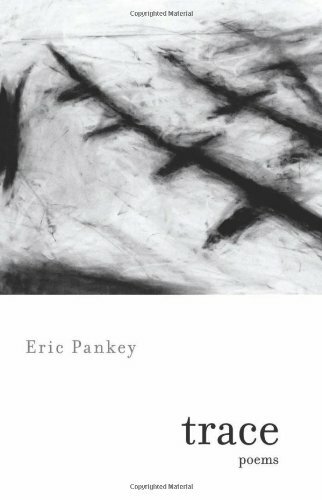 While in this collection that are moments of this extrapolation — such as when Percy gazes up into her face as if she were a full moon in “The Sweetness of Dogs” or when Sammy consistently breaks free of his ropes to roam through town in “Ropes” — many more of these poems are simply homages to the dogs she has known and loved. While this collection is not as deep as some of her other collections may be, there are moments of pure joy, deep sadness at the dog’s passing, and hilarity when dogs are being just that — dogs. People who love dogs, and even just love animals, will enjoy these poems, nodding their heads about the truthful honesty in Oliver’s lines. We and our dogs lean on and learn from one another, and these poems clearly illustrate those moments shared with our canine friends. 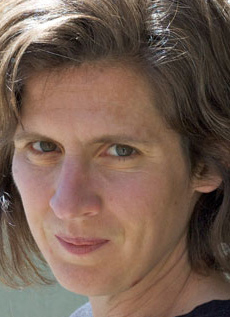 Although it is not the same many readers will expect from Oliver, readers will find some of the same universality that is found in her other poems. In many ways, these poems are even more of the heart, more about the poet and her life, opening her up to the emotions she may not express publicly as much. Dog Songs by Mary Oliver becomes a large ode to the symbiotic relationship we have with our dogs, a relationship that tries us and rewards us based upon how willing we are to accept it for what it is. Beyond the freedom these dogs have to be as they are and to succumb to their own wildness, there is still that deep loyalty to their person — do not dare say owner. There’s also a little bit of Oliver’s own opinion here, in that dogs off leashes are preferable to those constrained by them because dogs loyal to their owners merely because of the leash could be considered mere property. A private person by nature, Mary Oliver has given very few interviews over the years. Instead, she prefers to let her work speak for itself. And speak it has, for the past five decades, to countless readers. The New York Times recently acknowledged Mary Oliver as “far and away, this country’s best-selling poet.” Born in a small town in Ohio, Oliver published her first book of poetry in 1963 at the age of 28; No Voyage and Other Poems, originally printed in the UK by Dent Press, was reissued in the United States in 1965 by Houghton Mifflin. 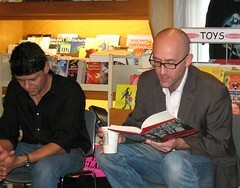 Oliver has since published many works of poetry and prose. Visit her Website. 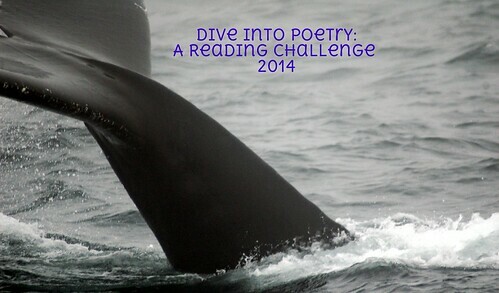 Book 1 for the Dive Into Poetry Reading Challenge 2014. If you are an email subscriber, not to worry, I’ve exported you all to the new MailChimp system and the delivery should be more regular and only once per day. New email subscribers can use the new form in the left sidebar to receive their own copy of Savvy Verse & Wit reviews. 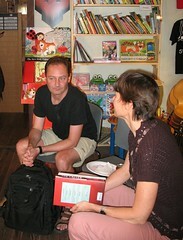 First, I wanted to reach out and thank those who came to the translation reading, including my wonderful book club. Second, the day began with an incredible baking spree, so I’d like to thank Anna’s daughter for all of her expert assistance. We spent a great deal of the morning mixing and mashing and baking Danish and Norwegian treats for the readers and the audience. The recipes I chose were Danish Apple Cake, Danish Butter Cookies, and Norwegian Spice Cookies. All of these recipes were easy to follow, so we made these easily with a few modifications, such as no cardamom (which is outrageous at $15+ at the supermarket) and no nuts. We set up a circle of chairs for an intimate reading at Novel Places, put the goodies out at the front table, and waited. Books were ready and soon too were the poet and the translators. K.E. Semmel read first from The Caller by Karin Fossum (you may be able to get a translator signed copy if you contact the local bookstore), which he translated for the U.K. market originally before it was published here in the United States. I think he read just enough to get everyone interested in the Norwegian author’s mystery novel, which he later said offers some of the most harrowing scenes a parent could read. He also told the audience that he translated both The Caller and Jussi Adler-Olsen’s The Absent One without any direct contact with the authors. Given that he is well versed in Danish and Norwegian, he didn’t seem to have any problems. Following a short reading from Semmel (A BIG THANK YOU to Semmel for the video, since my idiot camera died), the floor opened up to Carsten René Nielsen, the Danish poet of House Inspections, and his translator David Keplinger, a poet and director of the American University MFA in Creative Writing program. Nielsen would read the poem in its original Danish form and then Keplinger would then read the translation. They read about six poems from House Inspections and one or two poems from a previous collection. It was great to mingle with fellow translation enthusiasts, eat some goodies, buy some books, get some autographs, and chat. It seemed like the audience, which was mostly my own book club (thanks guys and gals), had a good time and learned some interesting things about translation. 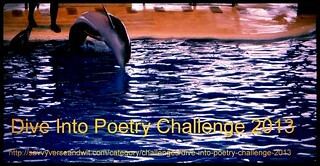 What surprised me the most was that it seemed as though the poetry books may have outsold the fiction thrillers! September is a big literary month here in the Washington, D.C., especially with the largest reading events of the year — The National Book Festival, the Virginia Festival of the Book, and the Baltimore Book Festival. Even before these big festivals get kicked off, starting with The National Book Festival this weekend, Novel Places in Maryland is celebrating the 75th anniversary of The Hobbit. Tonight at 6 p.m. readers will descend on the bookstore in Clarksburg to celebrate the book and the Tolkien legacy. With moss hanging from the rafters of the upstairs bookstore in Clarksburg’s historic district, patrons are encouraged to dress up as their favorite characters from the books and take in the atmosphere as they walk through Bilbo Baggins’ door into the shire. There’s even a prize for best costume. Bookstore owner Patrick Darby says of The Hobbit, “It was the late 70’s when I picked up the The Hobbit, which is about the time Dungeons & Dragons rose to fame. It shaped my ‘personality’ when I role-played different characters and creatures. Even though The Hobbit is written as a children’s book, the descriptions of scenery and character interaction is brilliantly detailed. Its somewhat simplistic plot, where it was just an adventure with no reason for starting the quest, made a good primer to the intrigue of the ring in The Lord of the Rings trilogy.” To learn more about the celebrations of Tolkien’s 75-year-old book, go here. Also this weekend is the two-day book extravaganza that promotes reading not only among adults but kids as well. The National Book Festival is in its 12th year. I can hardly believe it’s been that long since the first one. 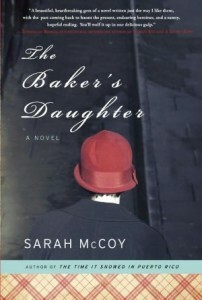 This year, I won’t be attending the first day of the festival, Saturday, Sept. 22, because my book club meets for our discussion of The Thirteenth Tale by Diane Setterfield at Novel Places. But I do plan to attend some poetry readings, meet Charlaine Harris of Sookie Stackhouse fame, and generally relax with books around on Sunday, Sept. 23, the second day of the festival. Please check out the rest of the goings on at the festival this year, plus the new online interactive media the festival is using this year. So even if you don’t live in the D.C. area and cannot make the trip for your favorite authors, you can still hear them speak through the Library of Congress Website. In addition to our book club meeting at the store, we’ll be attending a reading and discussion from two great translators, one of whom I consider a friend, and a poet whose work was translated. If you are in the Clarksburg, Md., area, please stop by Novel Places to interact with Danish Poet Carsten Rene Nielsen and his translator David Keplinger as they talk about their work on House Inspections. My friend, K.E. Semmel also will be on hand to talk about his two translations that came out in August, which I’m sure you’ve heard me go on and on about. Hopefully, he can forgive me for not reading The Caller by Karin Fossum and The Absent One by Jussi Adler-Olsen ahead of the event. They are on the to-read list and I had hoped to be finished with the book club pick sooner, but life gets in the way as worries about my dad and his surgery occupied my mind to distraction. You probably thought I was done, but we also have two more festivals to look forward to next weekend: The Baltimore Book Festival, which always showcases some great local authors and businesses and Virginia Festival of the Book, which I have yet to attend but receives rave reviews ever year. Both of those festivals are the weekend of Sept. 28. I’ll let you know more about those next week. What bookish plans do you have for the weekend? One thing I always loved about Massachusetts bookstores was the old town feel, since quite a few are in older homes or businesses, and the combination of new and old and/or used books. There are certain things I would do when I went home to visit my parents — eat mom-and-pop place pizza and subs, eat my favorite Chinese food, and go to an indie bookstore. I’ve got my very own mom-and-pop pizza place and the best part is I can walk to it, which just opened here this year. And now, I’ve finally found the equivalent of my favorite bookstores in Maryland! It’s only taken me 10 years. 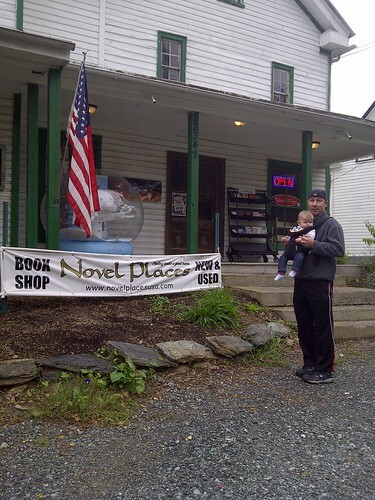 Novel Places is that bookstore, and their motto is very accurate! My husband, “Wiggles,” and I took a little ride to visit this cute little store on Frederick Road in Clarksburg. It’s not that far from where we live and its a cute little shop inside an old general store/post office. I have a thing for older buildings, perhaps its growing up in a post-and-beam construction house that was always in need of repairs and upgrades, especially when you find tree trunks in the walls with bark still on them. 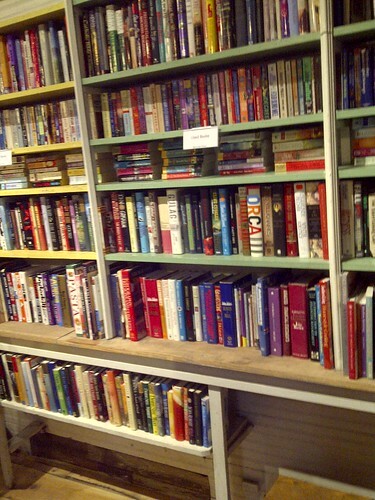 Novel Places has a great selection of used books from mystery/thriller to nonfiction and reference. There are a great number of new books as well, and there is a large section of children’s toys, including those wood peg puzzles. In addition to books, the store offers space for up to 25 people for gatherings, tournaments, and other meetings. When we were there, they had a Magic tournament going on. Now, if I ever get another book club going, maybe we could have our meetings there! So if there are any interested people in Maryland near Clarksburg interested in starting a book club, I’m all ears. Currently, they are honoring Borders Rewards members, which came in handy for me when I wanted to pick up a cool book about my current city/town! The store also offers Google ebooks downloading for those of you with ereaders, and you can get them to track down those hard to find books for you. There are some great gifts like book covers made of various fabrics and one of my favorite finds was the nice Atticus Books display, which is one of my favorite local publishers in Maryland (though I still am waiting for Tracks to arrive!). Check out these great photos from inside the store. I can’t wait to see them expand upstairs! Take the time to click on the Novel Places Logo at the top of the post, visit them on Facebook, and follow them on Twitter to see what’s new. You can also find the owner, Patrick on LinkedIn. Come experience the quaint bookstore with me when you’re in town!